Rio Salado College | RioNews: Enjoy Cooking Lessons from Rio Chefs! Enjoy Cooking Lessons from Rio Chefs! Need an idea for ‪dinner‬? Check out this Maricopa Now: Chef's Menu cooking demo from the MCTV team, featuring Rio Salado Chef Michael Hodgins preparing a yummy salmon and kale salad! Get in-person cooking and gardening lessons from the Cafe at Rio chefs and Sustainable Food Systems team by taking part in Rio Salado's spring 2016 Community Culinary & Gardening Classes. Your next lesson: Indian‬ Cooking at Home for Beginners! This non-credit class is only $39 and be held at our state-of-the-art RSC Thomas demo kitchen this Thursday, 6-8 p.m. 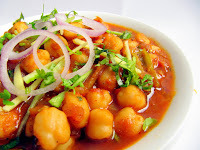 Learn the basics of making Indian curries and demystify exotic Indian ingredients. Work with a professional chef to create and sample dishes such as chicken tikka masala, chana masala, lentil dhal and steamed basmati rice. Visit this class schedule page or additional details. Please register in advance by calling 480-517-8000 or register now online at startatrio.com. No test, no grades, just good old fashion fun in the kitchen! 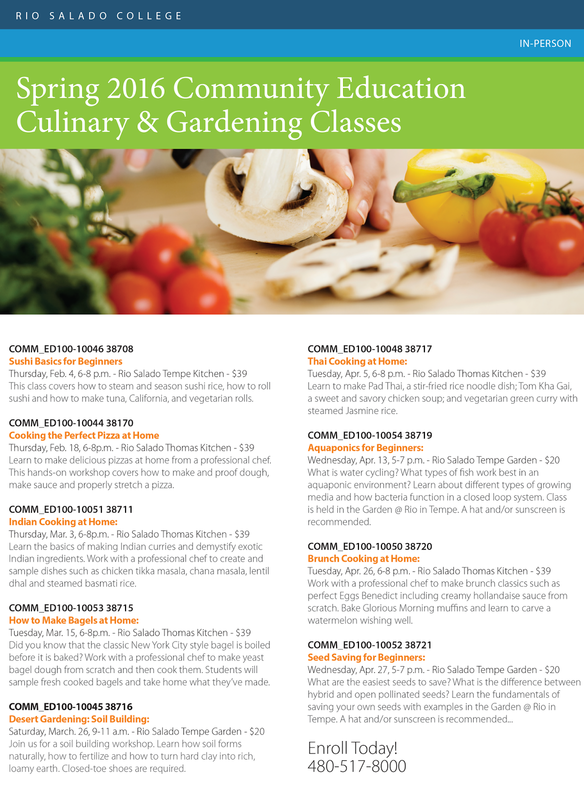 Check out this RioNews blog post for details about other cooking and gardening classes.